Since 2005, independent watchmaker Christopher Ward of London has produced high quality, highly affordable, Swiss made watches. Their model line is expansive, encompassing dress watches and tool watches, divers and fliegers, and both quartz and automatic movements. One of my favorites in their diverse line was the C60 Trident Pro, a classic diver's watch with several clever design elements that set it apart from the rest of the Rolex-inspired crowd. 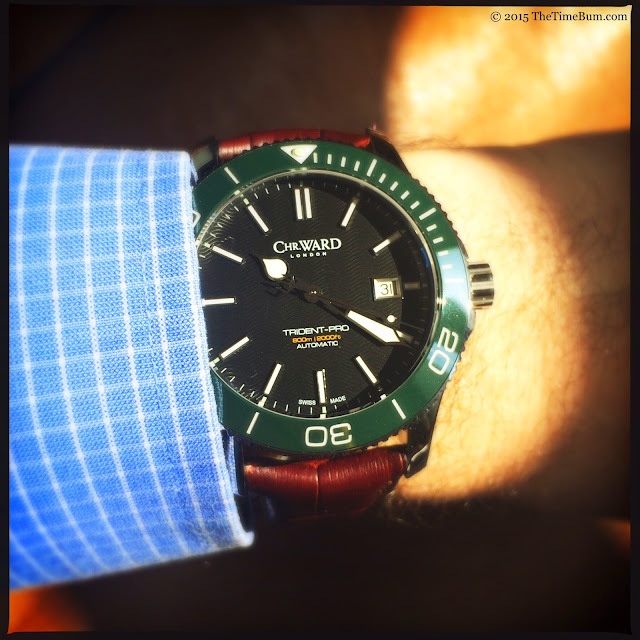 Late last year, Christopher Ward revised and restyled the original C60. Now as we all know, change is good but if it 'ain't broke, don't fix it. * The Time Bum had to know if the updated C60 was indeed improved. 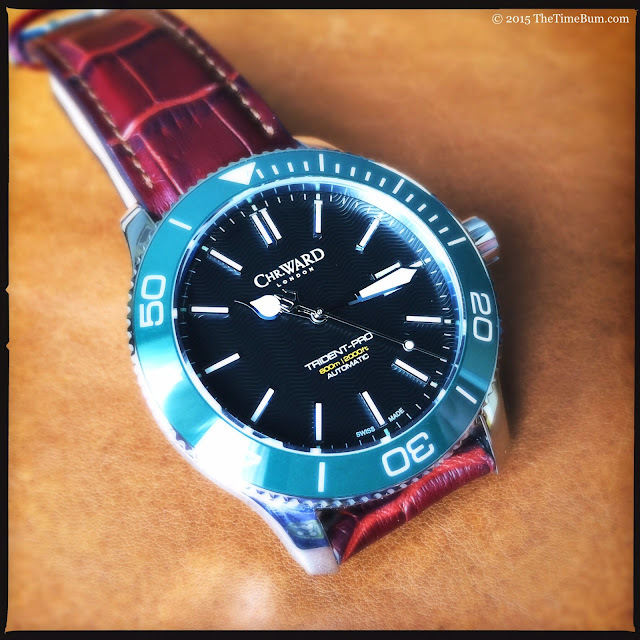 Lucky for us, Christopher Ward graciously lent me a brand spanking new C60 to review, and as it happens, I already own a previous generation C60. ** A comparison test was inevitable. Like the original Trident, the new model is available in multiple variants. 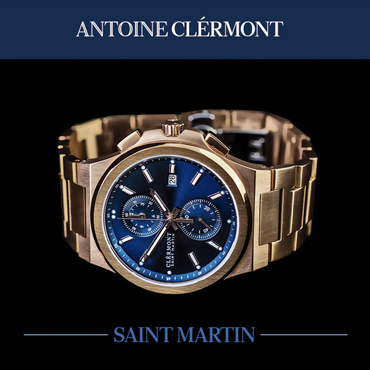 Buyers may choose from four different movements, small and large cases, various color and strap combinations, and even a COSC certified chronometer. 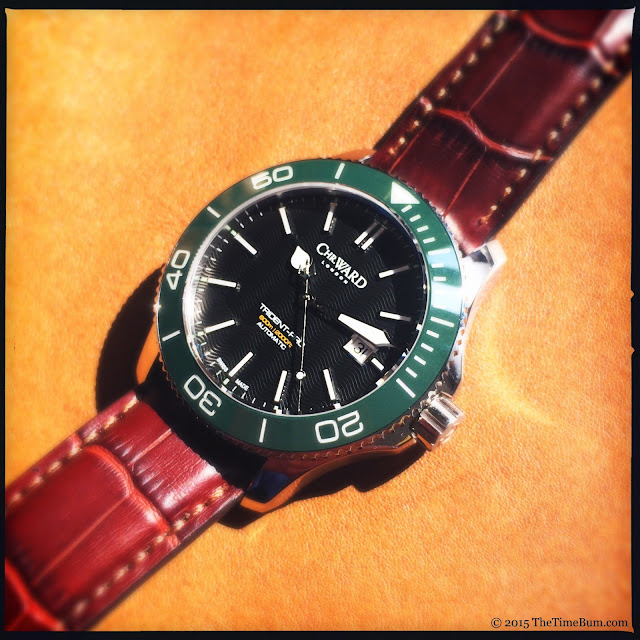 For this review, I received a 42mm, three-hand automatic diver with a black dial and dark green bezel on an alligator embossed leather strap. 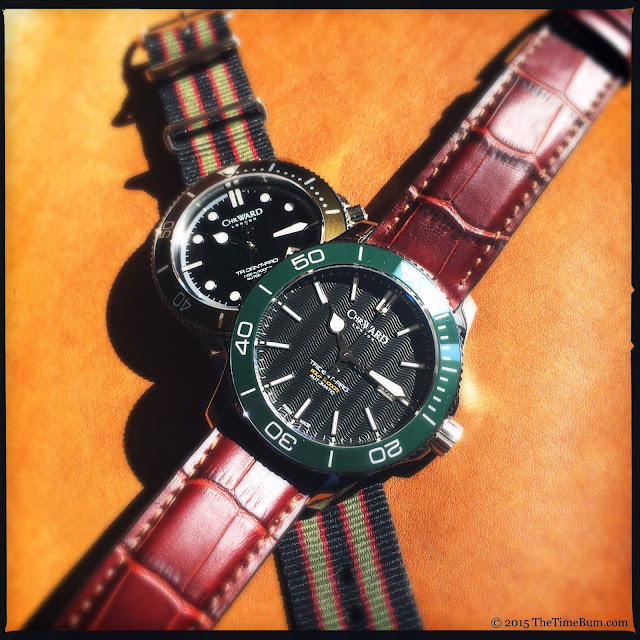 My personal C60 is also a 42mm three-hand, black dial, but with a khaki (olive) bezel on a Bond stripe NATO strap. Most of the important specs are carried over. The new Trident still has an anti-reflective sapphire crystal, screw down crown, Swiss automatic movement, and a dive worthy case. 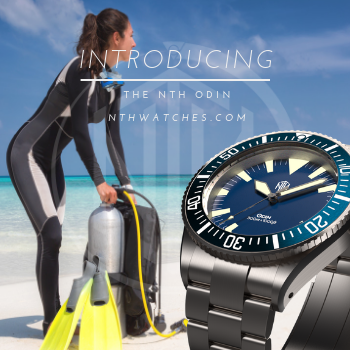 They significantly upped the ante on the water resistance though; the new model boasts an impressive 600 meter rating, twice that of its predecessor. The size, shape, and finish of the stainless steel case are quite familiar. At first blush, you might think the two are identical. Both are round with a slight arc in profile, slightly tapered lugs, brushed sides, and a polished top. Closer inspection reveals small but important differences. The crown on the new model is larger and more aggressively fluted. Like the old one, it is signed but the surface is matte instead of polished. The crown guards are also proportionately larger. 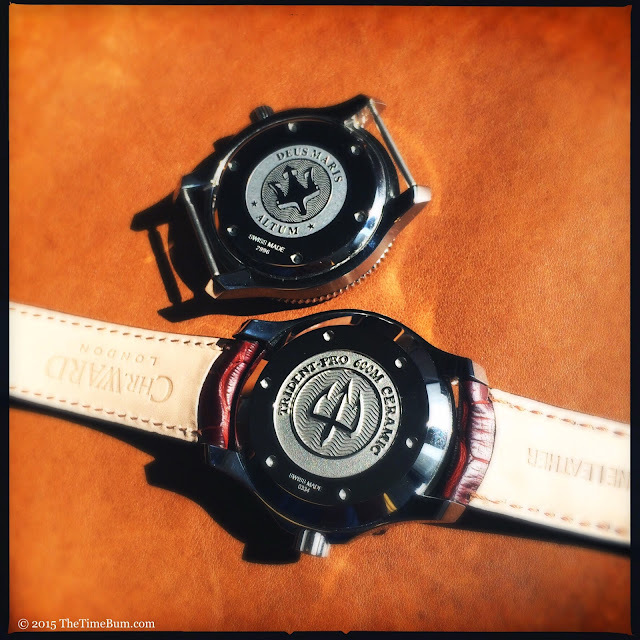 I had no issue with the smaller crown, but the new one better suits the Trident's tool watch function. On the underside, the case back is vastly improved. Where my C60 is simply etched, the Pro 600 is deeply sculpted; the trident and lettering standing in high relief. A fancy case back is never a make-or-break item got me, but I do appreciate it when I see a nice one. 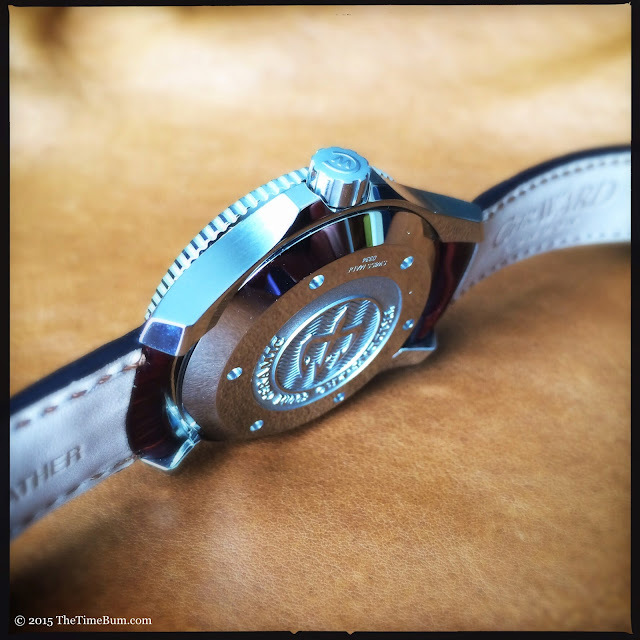 It is just one of those little things that enhance the character of a watch. The bezel insert is no longer aluminum but highly scratch resistant zirconia ceramic. The hard, glossy surface and recessed markers give it a sharp look. It would have been nice to see the bezel markers painted with luminant, but that job is reserved for the pearl at the top. 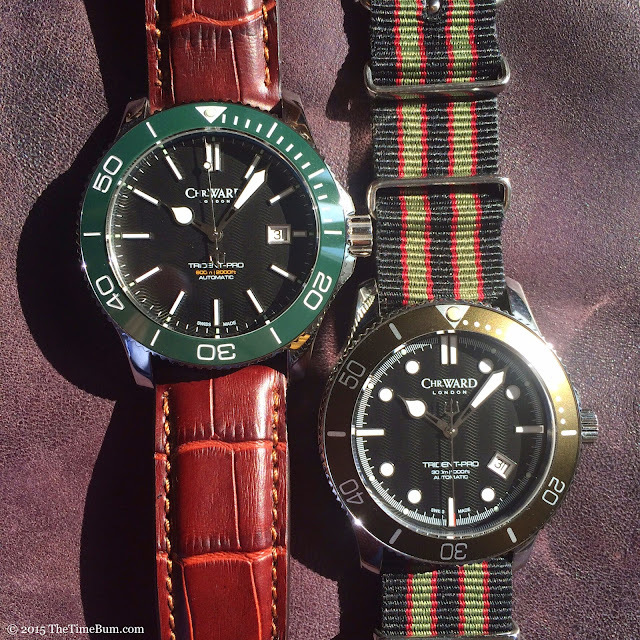 In general I prefer ceramic to aluminum, and the deep green is certainly attractive, but I would not trade it for the distinctive olive tone of my old C60. Both new and old are coin-edged, unidirectional, and move through 120 detents with smooth, precise clicks, but the new bezel is noticeably better. The slight bit of play that was always present in my watch has been totally eliminated. Once we reach the dial, the differences in two models are more pronounced. The round indices of the Mark I are batons on the Mark II and the date window has moved from 4:30ish to 3 o'clock. The odd date placement was a sticking point for many on the original Trident and it makes more sense in its new position. Where the old index was marked in fifths, the new one has been pared down to just full seconds. The most appealing features of the old face remain. The trident-shaped counterweight on the second hand, lovely wave textured dial, and unique teardrop and sword hour and minute hands all remain just as they should. The text on both is printed in a small, lightweight, modern typeface. The only difference being the contrasting mustard color of the Pro 600's water resistance text. Both dials are attractive, but I actually prefer the prior version's round markers, detailed index, and yes, even the wonky date placement. Night visibility is one area where the new model clearly shines (no pun intended). 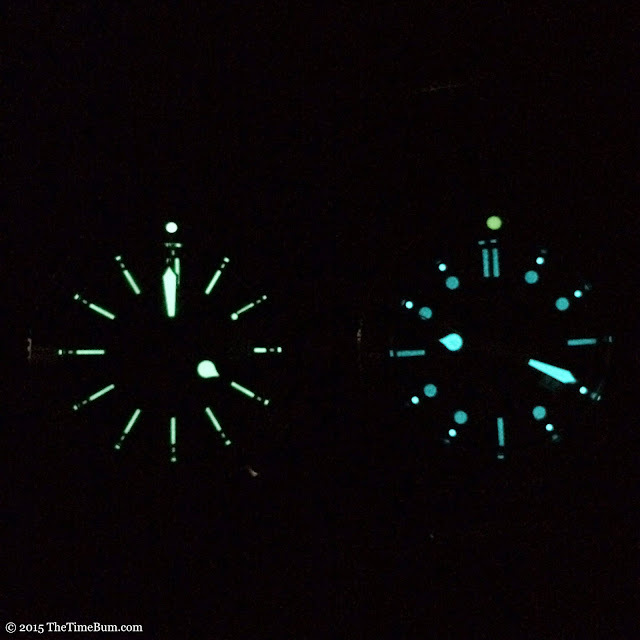 The old blue-white lume (right) was fine, but the new formula SLN T C1 SuperLuminova formula (left) simply blows it away. The Mark I and II Tridents use the same movements, either a 25 jewel ETA 2824-2 or 26 jewel Stellita SW 200-1, depending on availability. These high-quality units are nearly identical. 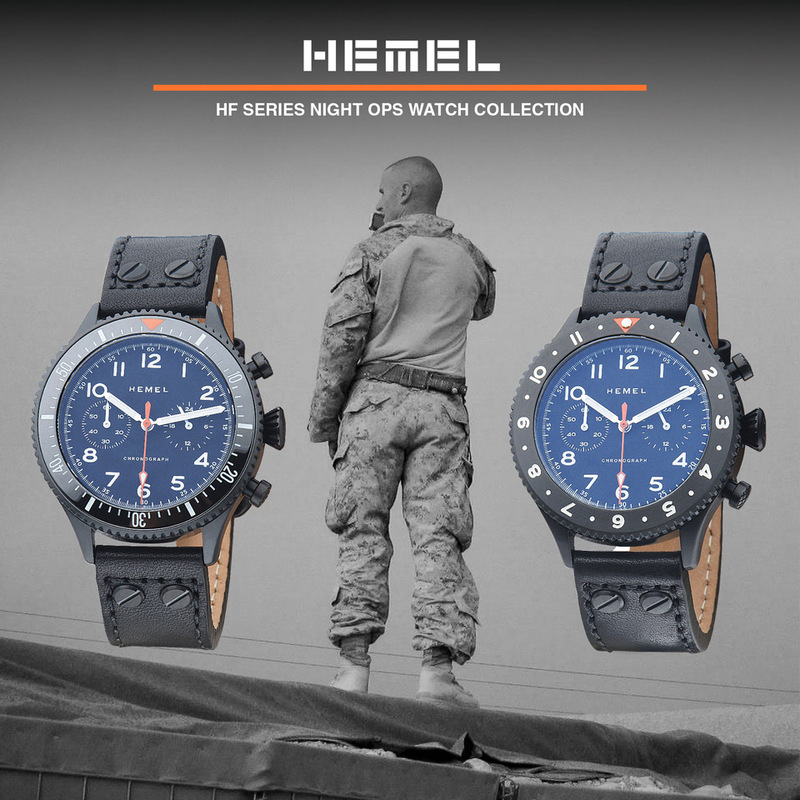 With either one you get +/- 20 seconds per day accuracy, 38-hour power reserve, and 28.8k bph vibration rate. The Trident wears well in either incarnation. Even on my small wrist, it fits comfortably. The 600 meter model is just over 13mm thick, about 1mm more than the old one. This is a consequence of the heavier back plate, but still slim enough for a shirt cuff and perfectly appropriate with a suit and tie. Interestingly, the baton markers and simplified index on the revised version have opened up the dial, making it appear larger. 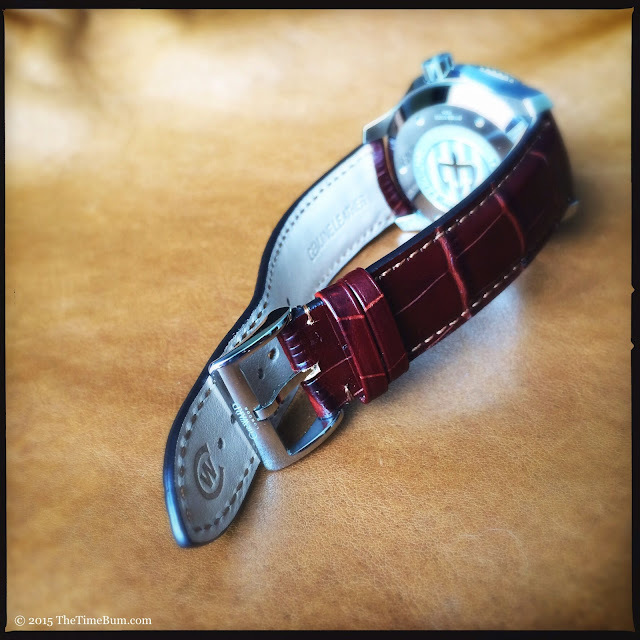 I can't fairly compare straps, but the 22mm embossed leather is beautiful. It is lightly padded, curved at the lugs to close the gap at the case, and has a signed, square frame buckle. I found it was just one adjustment short of a proper fit, but this is not uncommon with my 6.5" wrist. I love my industrial-looking tool watches, elegant formal dress watches, and the occasional offbeat confection, but I appreciate it when I can wear a watch in more than one setting. 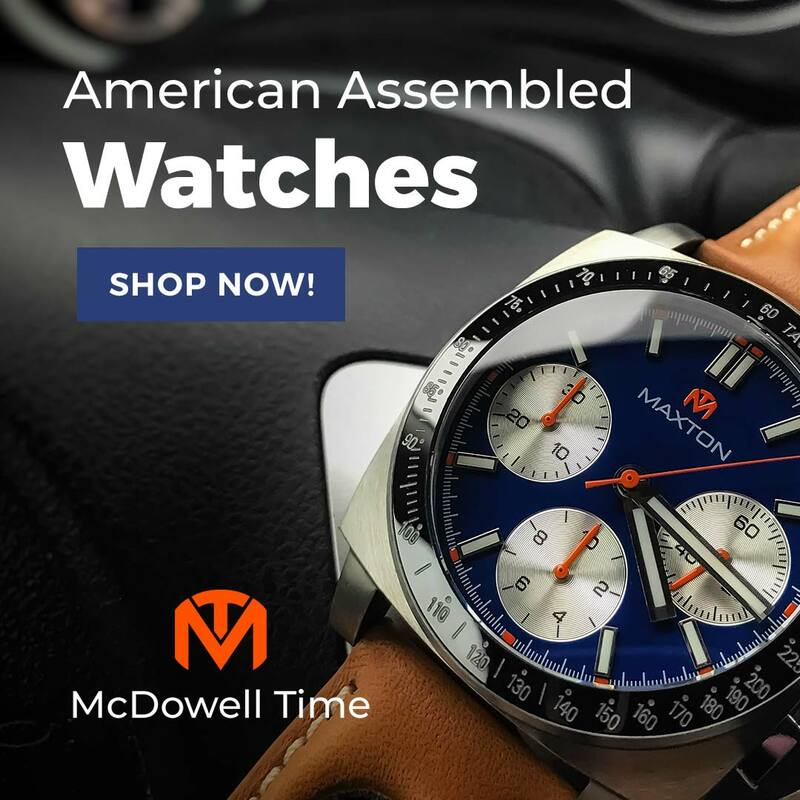 Watches that are versatile enough to go from business suit to jeans and back get the most wrist time and, therefore, offer the best value. The Trident is one of those watches. 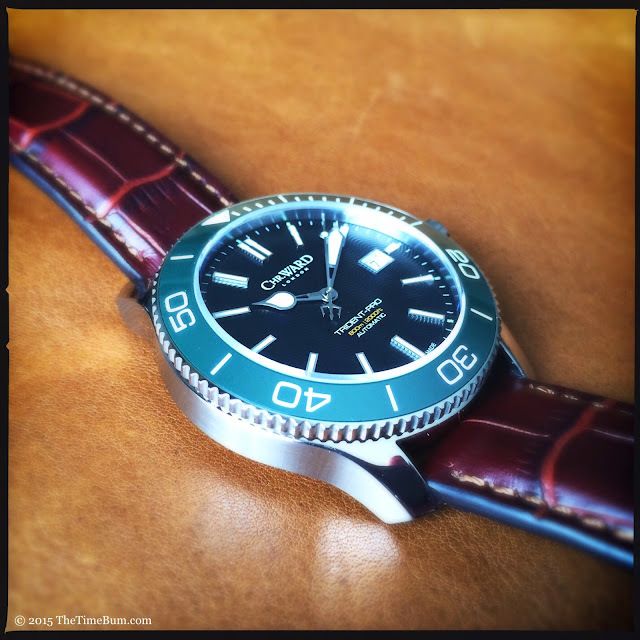 Its classic diver design can go with just about anything short of black-tie formal dress. I often wear my khaki C60 on a leather strap with a coat and tie during the work week and swap it back to a nylon NATO for the weekend. Can I choose a favorite? It is hard to say. Both versions, old and new, are similarly handsome and capable, but The C60 Pro 600 is arguably more so. Its depth rating far surpasses the original in terms of tool watch credentials, and the more open dial and ceramic bezel insert lend a bit more polish when suiting up for the office. The model shown here sells for $825 and considering the quality of materials, build, and finish, I'd call that an excellent price. The original is no longer available as an automatic, but fans of the old design can get still get it in the C60 300 Ronda quartz for $415. Pro: High spec, flawless execution. Con: Cleaner dial sacrifices a bit of charm. Sum: An immensely capable and attractive watch. The Time Bum approves. * Also: "you can lead a horse to water, but you can't make it drink"; "here today, gone tomorrow", and other fine clichés. ** As a matter of fact, I won this little gem in a Worn & Wound giveaway before I started blogging. Many thanks for their outstanding site.